Thomas R. Guskey, Ph.D., is Professor of Educational Psychology in the College of Education at the University of Kentucky. A graduate of the University of Chicago, he began his career in education as a middle school teacher, served as an administrator in Chicago Public Schools, and was the first Director of the Center for the Improvement of Teaching and Learning, a national educational research center. He is the author/editor of 18 books and over 200 articles published in prominent research journals as well as Educational Leadership, Kappan, and School Administrator. 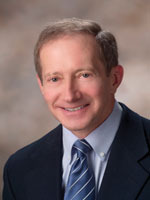 Dr. Guskey served on the Policy Research Team of the National Commission on Teaching & America’s Future, on the Task Force to develop the National Standards for Staff Development, and recently was named a Fellow in the American Educational Research Association, which also honored him in 2006 for his outstanding contribution relating research to practice. His most recent books include Developing Standards-Based Report Cards (2010), Practical Solutions for Serious Problems in Standards-Based Grading (Ed.) (2009), The Principal as Assessment Leader (Ed.) (2009), The Teacher as Assessment Leader (Ed.) (2009), and Benjamin S. Bloom: Portraits of an Educator (Ed.) (2006).